When Google announced the next-generation Nexus 7 back in July, the Android enthusiast community rejoiced at the fact that the LTE model, while working on AT&T and T-Mobile as expected, also worked on Verizon Wireless. This was an enormous step forward in the mobile universe because Verizon has the largest network in the United States and, at the time of release, had more LTE coverage than AT&T, T-Mobile and Sprint combined. The issue was, however, that up until that point Verizon would never allow “outside” or “unlocked” devices onto their network. For background, when Verizon purchased their 700 MHz spectrum during a 2008 FCC auction – the spectrum they used to roll out LTE on their network – one of the stipulations they were forced to agree to was to allow any device onto their network, so long as the device was capable of using that spectrum. Because Verizon only uses that 700 MHz spectrum for LTE, they only have to allow unlocked devices on the LTE portion of their network. They will not, and do not have to, allow unlocked devices on their legacy CDMA2000 network. Prior to the Nexus 7 launch, no manufacturer had ever tried to release a carrier-free unlocked device that worked on Verizon LTE. Because of that, no one was able to properly test whether Verizon was prepared to allow unlocked LTE devices. Google’s hope was clearly to change that by equipping the second-generation Nexus 7 with Verizon LTE compatibility. Early adopters found out quickly that Verizon was completely unprepared to allow unlocked devices onto their network. If you already had Verizon service, swapping your existing activated SIM card into your Nexus 7 would work with no problem whatsoever. The issue came when you needed to activate a brand new line of service or needed to get a new SIM card for your existing line (for instance if you had a Xoom which took a full-size SIM, but wanted to replace it with a Nexus 7, which takes a micro SIM). Here we are 5 months post-launch and this is still a problem. It is the goal of this article to give you all the information you need to successfully activate a Nexus 7 on a new line of service with Verizon Wireless if you choose to. To make sure that the device isn’t blacklisted due to it being lost or stolen. To ensure that the device is compatible with their network. Each carrier keeps their own database of IMEI number ranges for devices that are known to work with their network. This is the crux of the problem with the Nexus 7 on Verizon. Because Verizon does not actually sell it, they do not have its IMEI number ranges in their database. 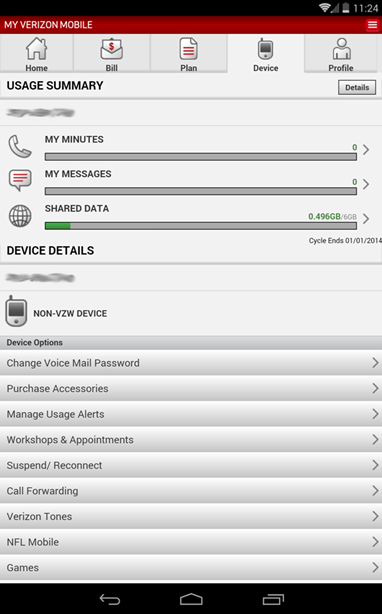 The only way for a manufacturer, in this case Asus, to get their device listed in Verizon’s IMEI database is to go through a network certification process, by which Verizon certifies that the device will work on their network. Currently, Google and Asus are going through this certification process for the Nexus 7, but there’s no indication of when it will be complete. In the meantime Verizon will not issue a SIM card to you because they don’t recognize the IMEI number of your Nexus 7. What will happen if I walk into a Verizon store with a Nexus 7 and attempt to get a data plan and SIM card? The store representative will set you up with your new tablet data plan. The rep will get a SIM card and ask you for the IMEI number of your tablet. You will read off the IMEI number of your tablet. The rep will inform you that the IMEI number is showing as invalid, and will tell you that the device cannot be activated. You walk away pissed off, and immediately go to your closest AT&T or T-Mobile store, who will happily activate your device for you in 5 minutes. I really want Verizon service, though! Is there anything that can be done until Google and Asus finish the certification process? Go into a Verizon store and find a floor model tablet. It can be pretty much any tablet other than an iPad. I recommend any Galaxy Tab device. Go into the tablet’s settings, go to “About Tablet”, then “Status." Scroll down until you find the IMEI number. Take a note of it, take a picture of it, whatever you have to do. Go to Verizon’s website and set up a new line of service. When you are asked for the IMEI number of your device, enter the IMEI number from the floor model tablet. This will pass the “is this certified for Verizon’s network” test. Pick your plan and complete the signup process. Verizon will send you a SIM card via FedEx. Once you get the SIM card, go to the online activation system and enter the SIM card ID from the SIM card that they sent you, and enter the IMEI number of the floor model. After completing the rest of the online activation process, put the SIM card into your Nexus 7 and reboot it. When it comes back up, wait a minute or two, and you should be up and running with Verizon service! Isn’t this dishonest? What happens if someone buys that floor model tablet down the road? Will they be able to activate it? At this stage, the floor model’s IMEI number is completely unattached from your SIM card and free to be activated by whoever might end up with that floor model down the road. Remember further up the article when I said that there are Verizon store reps here and there who can get around the IMEI fiasco and activate your Nexus 7 for you? These are the exact steps they perform as well. Are there any “gotchas” or anything that might not work quite right? My Verizon: Normally when you reset your password on a My Verizon account for a tablet line, it will email you with instructions. Because the Nexus 7 is a “non-VZW device,” the system instead assumes you have a phone, and will attempt to send a text message to your tablet’s phone number. You will never receive this text message because the Nexus 7 does not have SMS capabilities. Instead, you’ll most likely have to call Verizon customer service or visit a Verizon store and have them help you. Changing your plan: You won’t be able to change your plan online because, again, the Nexus 7 is a “non-VZW device.” The system has no idea what type of device you have, therefore it has no idea what types of plans to offer you. This is something else you’ll have to have Verizon customer service or a Verizon store rep help you with. In addition to these, always keep in mind that Verizon only has to allow unlocked devices on the LTE portion of their network. The Nexus 7 does not include any CDMA2000 capabilities, thus it cannot fall back to 3G or 1X data. 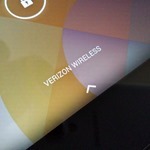 In practical terms, that means if you leave Verizon's LTE coverage area, you will not have data on your tablet. That said, when you consider that 95% of Verizon's network is LTE at this point, this shouldn't be a problem for most people. In closing, I do believe this is the best solution if you need to get your Nexus 7 activated on a new line of service with Verizon. Once Google and Asus complete the certification process, all of this will be a complete moot point because Verizon will have the Nexus 7′s IMEI numbers in their database. Until then, though, it’s important for you to understand that you CAN activate your Nexus 7 on Verizon if you are willing to think outside the box. Sure, some features like the ones outlined above will be a bit fussy, but that’s the price we pay for living in the gray world and bending the rules.